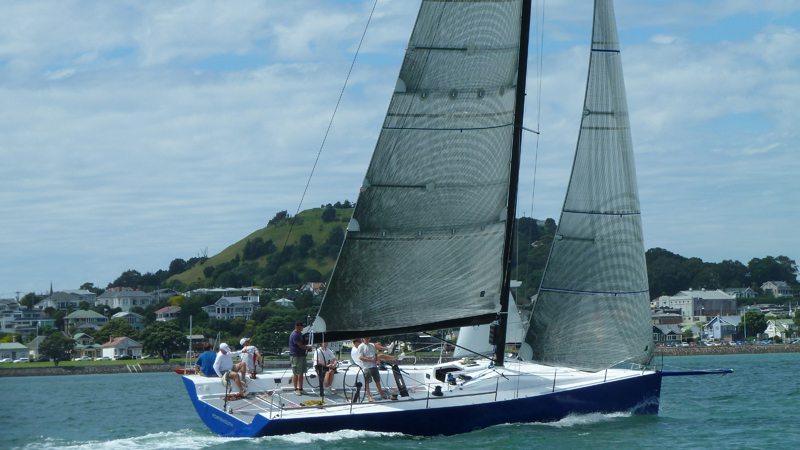 One of the most promising IRC contenders to be launched in the last twelve months has been shipped from Salthouse Boatbuilders in Auckland, New Zealand, and will arrive at Newport, Rhode Island, in time for the Block Island Race. The 44 foot sailboat, which was designed by Ker Design of Valencia, Spain is called Ptarmigan, and has been built for an East Coast yachtsman. 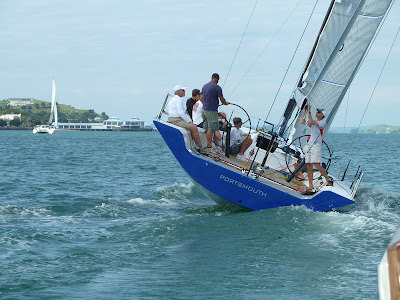 Designed as an offshore race boat and optimised for mostly light air and downwind racing under the IRC rule, Ptarmigan is described as a 'comfortable' race boat, using leading edge design principles to gain an edge. It is the second IRC yacht to be designed by Ker Design and built by Salthouse Boatbuilders: the first, Tonnerre, was named RORC's Boat of the Year for 2010 in the UK, and has been extremely successful on the European IRC circuit. Like Tonnerre, Ptarmigan is a simple construction from carbon fibre and foam, with a close attention to detail and weight - it came in 20kg under the designer's specification. "When we build a race boat we build it as light as we can," says Greg. "Being a small boat you have to be careful of every little component and make sure that everything is where it should be and on weight." Simon Schofield of Ker design says Ptarmigan is possibly the widest 44 foot IRC boat yet built - it is roughly the same width as a TP52 on deck, but has a low wetted surface area when upright, picking up stability when it heels, and putting crew weight further outboard for increased righting moment. To make sure the boat was absolutely cutting edge on launch date, Ptarmigan was literally designed and built at the same time. 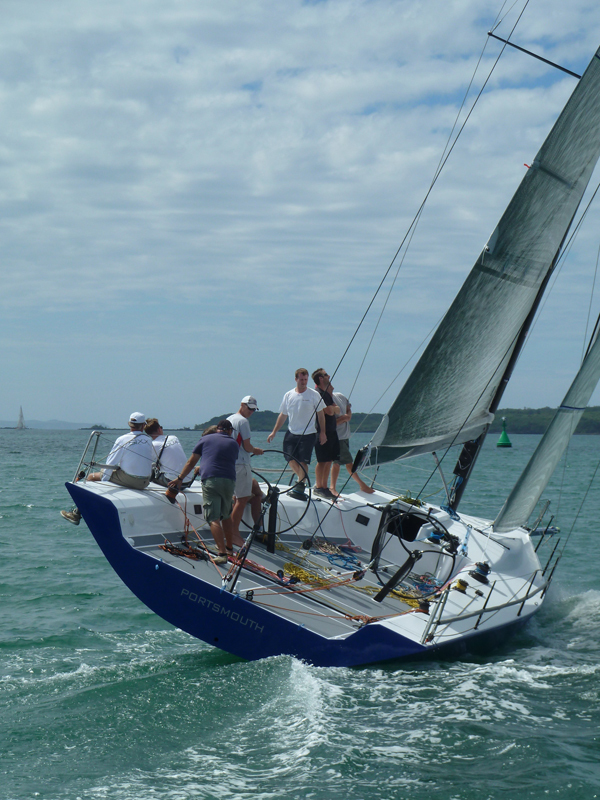 "On a boat like this, because it's a race boat, you don't want to design it and then start building it, because it's six months out of date at that point," explains Simon Schofield, who first worked with Greg Salthouse and Salthouse Boatbuilders on the Pyewacket refit, and then commissioned the build of Tonnerre. "We chose Salthouse because we found they were excellent to work with, and we needed to communicate very closely as we designed components just in time for them to be built, meaning we had to work through concepts and engineering continuously," says Simon, who used advanced RANs fluid dynamics software for intensive virtual tank testing, to perfect the hull shape. The owner, who was reportedly ecstatic with the boat when he seatrialed Ptarmigan in Auckland, has had a number of custom built race boats, and after a warm up program will enter the Block Island Race, Block Island Race Week, the Vineyard Race and the American IRC Nationals, followed by the Newport-Bermuda Race and other big classic offshore events.